St. John’s Wort had gained a reputation in the press for being nature’s Prozac but I think that’s a bit too simplistic for this very useful herb. As well as being antidepressant, its actions include: antiviral, anti-inflammatory, antioxidant, analgesic, antispasmodic, astringent and expectorant. There has also been recent research into its use in preventing migraines. Legend has it that it was named for St. John the Baptist as the beautiful yellow flowers opened on his birthday, 24 June. 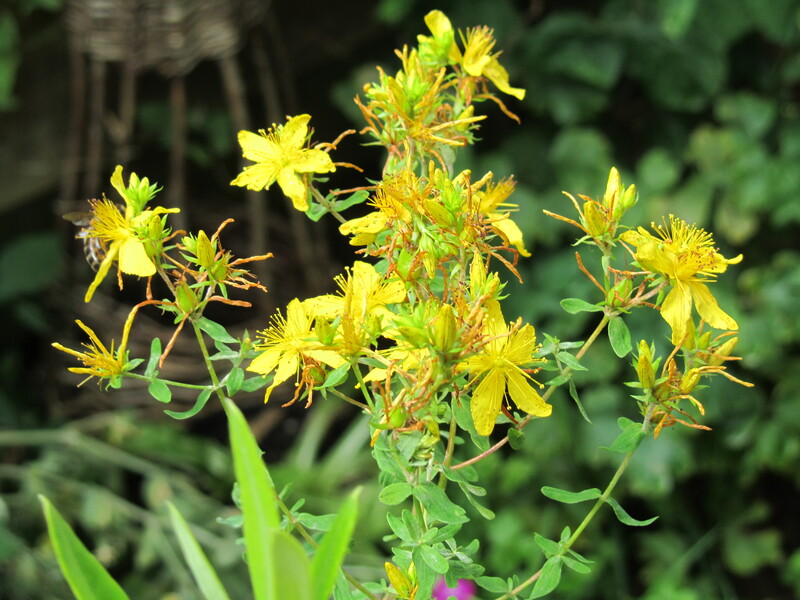 You need to be very careful when taking St. John’s Wort with other medications.